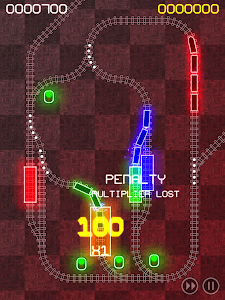 I was never very happy with the original icon for ElectroTrains, so I made a new one at the weekend. I managed to get something I was reasonably pleased with quite quickly, using an open-source package called Inkscape. I'd installed this ages ago, but never really taken to it, since it has an ugly x-windows interface on the mac. However, after a afternoon spent with it, and working through a couple of tutorials (this one got me off to a good start) I ended up really impressed with what this software can do - and I've only used a few of the basic features. 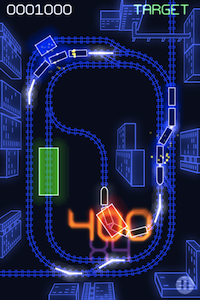 A new version of ElectroTrains with the new icon and iPad support is now on its way to the app store. Great job man. Hope you add new levels in next update.